We can all agree that there’s nothing like a well-built, premium Acura vehicle. These models are built to be stronger and more comfortable than many others on the market, and now, with the Acura Certified Pre-Owned program, it’s easier than ever to get behind the wheel of a high-performing Acura sedan or SUV for budget-friendly prices. Here at Acura of Maui, we subject all qualifying models to an extensive inspection to ensure its quality for you. Plus, with a 7-year, 100,000-mile powertrain coverage warranty, you can rest assured that you’re protected with a model of Acura’s caliber by your side. 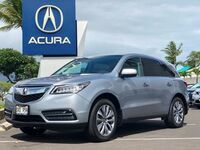 Keep reading below with Acura of Maui to see our certified pre-owned Acura inventory, as well as how you can get inside today! Our Kahului dealership is stocked with two of the top models in the Acura family, starting first with the ILX sedan. This four-door vehicle is outfitted with a 2.4-liter Inline 4 engine, capable of producing 201 horsepower and giving you a safe, comfortable and efficient driving experience. 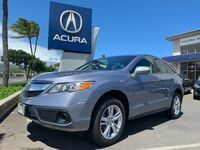 We also offer the Acura RDX SUV, another top performer that brings a 3.6-liter V6 engine (which can handle 279 horsepower) and up to 61.3 cubic feet of cargo space to the table. Both of these Acura vehicle types offer top-of-the-line driver assistance innovations (thanks to the AcuraWatch™ suite) and class-leading infotainment, which allows you to be safe, controlled and connected no matter where on the island you’re headed. 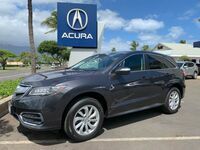 There’s much to love when you have an Acura vehicle in your driveway – as the only Acura dealership on Maui, we’re proud to be your one-stop shop for the model brand and are looking forward to hearing from you soon. Be sure to contact our team today to schedule a test drive (or sign off on a financing deal) of your favorite Acura models!